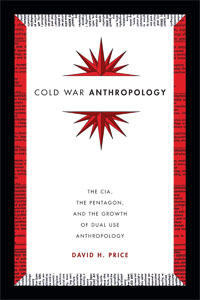 Cold War Anthropology: The CIA, The Pentagon and the Growth of Dual Use AnthropologyBy David H. Price. Duke University Press. 2016. Cold War Anthropology: The CIA, The Pentagon and the Growth of Dual Use Anthropology, at its heart, attempts to address a question that has occurred to a significant number of anthropologists at some point during their research: ‘Why do so many of my informants think I am a CIA spy?’ In the last of three books that investigate the relationship between anthropology and US intelligence agencies, David H. Price argues that the CIA, The Pentagon and the military industrial complex were integral to the development of US anthropology during the Cold War. In particular, Cold War Anthropology focuses on the notion of ‘dual use’ scholarship, a term originating in the physical sciences. On the one hand, knowledge production can be conceived of as a purely intellectual pursuit, carried out to advance our understanding of the world. However, the political context of this knowledge can lead to its use in practical settings that subvert original scholarly intent, sometimes in the service of oppression or violence. The classic example is the creation of atomic weapons in the wake of Ernest Rutherford’s discovery of how to split the atom. Price claims that anthropology has been too slow to acknowledge and reflect upon its own culpability in this dual use process. He attempts to show how anthropological expertise and knowledge has been used to support or further US military interests, taking us from the close of the Second World War up to the end of the Vietnam War. During this time disciplinary attitudes transformed from complicity in military operations to outright critique of US imperialism. However, Price suggests that the expansion of anthropology following World War II owes an uncomfortable debt of gratitude to the windfall of CIA and government funds that followed in the wake of expanded Cold War espionage. Much of the body of Cold War Anthropology is made up of specific examples that highlight how the murky links between academia and government agencies have constrained or explicitly guided the production of anthropological knowledge. In 1947, the National Security Act established the Central Intelligence Agency, tasked with covert action and intelligence operations. Despite Congressional restraints that prevented the agency from carrying out domestic operations, a thirst for knowledge on strategically important areas of the world led the CIA to covertly establish a number of funding ‘fronts,’ which were designed to influence research in US universities. These were often little more than an address or a bank account into which a sum of money would be deposited. The CIA could then anonymously donate this money to scholars or institutes, supporting research on areas of strategic interest. Price even makes the case that the rise of area studies institutes in various US universities, like MIT’s Center for International Studies, owes their existence to these funds. This review by Joseph Anderson originally appeared on the LSE Review of Books blog and is reposted under the Creative Commons license (CC BY 3.0). In Chapter Eight, a particularly distressing case stands out from the numerous examples that Price gives throughout the book. This is the role that two unwitting anthropologists played in MK-Ultra − a CIA program dedicated to developing ‘enhanced interrogation techniques,’ a definition of torture so bland that it loops back around to being sinister. In 1965, Alan Howard and Robert Scott received a grant from Human Ecology (a CIA funding front) to study how bereavement and stress manifested cross-culturally, focusing on groups from both East Asia and the United States. The two researchers published their model of stress showing that isolation from normal social contact can lead to extreme levels of discomfort, making a person more open to manipulation than is normally the case. The CIA utilized this model in KUBARK, an internal report that blended Howard and Scott’s findings with classified CIA intelligence in order to develop a system of interrogation utilizing solitary confinement and subtle social manipulation to obtain information. In an interview with Price, Howard likens the dual use of his work to the splitting of the atom, claiming that his original intentions for his research included clinical applications to alleviate stress induced by bereavement and chronic pain. Neither anthropologist knew their funding derived from the CIA. In the wake of well-publicized scandals involving the domestic corruption of academic research by military agencies in the late 1960s and 1970s, the American Anthropological Association (AAA) took action to investigate the role that anthropologists had played in US military operations. In a passionate final chapter, Price critiques anthropologists’ stance during the Cold War, suggesting that ‘to argue that […] political economic forces did not shape anthropologist’s work would place the discipline […] outside of the usual influences of culture that anthropologists take for granted when studying cultures’ (358). Tighter disciplinary codes were adopted by the AAA as a result of Cold War dual use relationships with military agencies, but Price claims that anthropology is yet to seriously discuss the political contradictions raised in this era. Instead of dealing head on with what anthropology should do in the world, these new ethical codes turn concrete political dilemmas into an individual process of assessment. And rather than facing a legacy of oppression, the discipline instead turned in on itself with postmodern styles of ethnography that ignore wider political contexts in favor of the minutiae of ethnographic encounters. 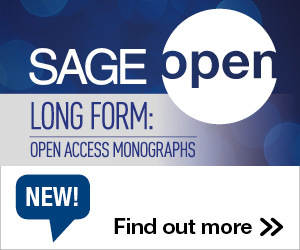 In this dense, but thoroughly readable piece of work, Price has managed to synthesize an impressive amount of information gathered from freedom of information requests to the CIA, document analysis and interviews to tell a revised history of anthropology. His central claim − that anthropology has to be more aware of its complicity with US imperialism − never becomes polemical. Rather, the reader is asked to draw their own conclusions from the text, makingCold War Anthropology a well-balanced attempt to open up a conversation that the American Anthropological Association has tried to avoid. Cold War Anthropology forces the reader to confront in blunt detail the ways in which ethnographic work exists in tandem with political-economic forces, especially the agendas of funding bodies and special interests. It is a book I encourage anthropologists everywhere to read, but, more importantly, to discuss its implications with colleagues and students. This entry was posted in Bookshelf and tagged Anthropology, Book Review, Cold War. Bookmark the permalink. Post a comment or leave a trackback: Trackback URL.